A fun design from Eden Ava Couture, the Irish Dance Solo Dress! Reels, Jigs, Slip Jigs, Treble Jis, Hornpipes… Get your doll ready for Feis with this fitted solo dress PDF pattern featuring princess seams, dropped waist gathered skirt, and flared sleeves. 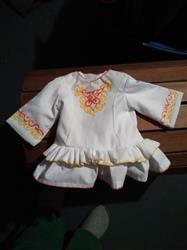 I used this pattern to make 2 dresses for a legacy doll. They turned out perfectly. The information about different doll sizes and all of the details and pictures were 100% accurate. Plus it was easy to modify the skirt for two different styles, so that I could make dresses that match my daughter's dresses. I'm just sad that Santa will get all of the credit for the work that went into them! I really like this pattern. Good directions and easy to follow. I made a few changes by making it unlined, used ppiping at the neck and made a ruffled cape. 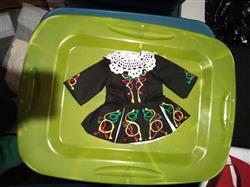 The the lines and structure of the actual dress are well designed and true to the style of current Irish dance dresses. This pattern made the cutest little solo dress!! It was so easy to follow and the end result looks so professional! I am not a seamstress my any means but my mom is by profession and even she was impressed by my work!! All thanks to great directions and pictures in this pattern! I can't wait for my daughter and two nieces to get them for Christmas. If only the real dresses were this easy!! Recently I bought a pattern for an American Girl doll: Eden Ava Couture's Irish Solo Dance Dress. It was excellent--fully explained and illustrated--45 pages worth! I am looking at my finished Irish Dance Solo Dress and it is so cute. The instructions were easy to follow and the pictures were helpful for a visual guide. 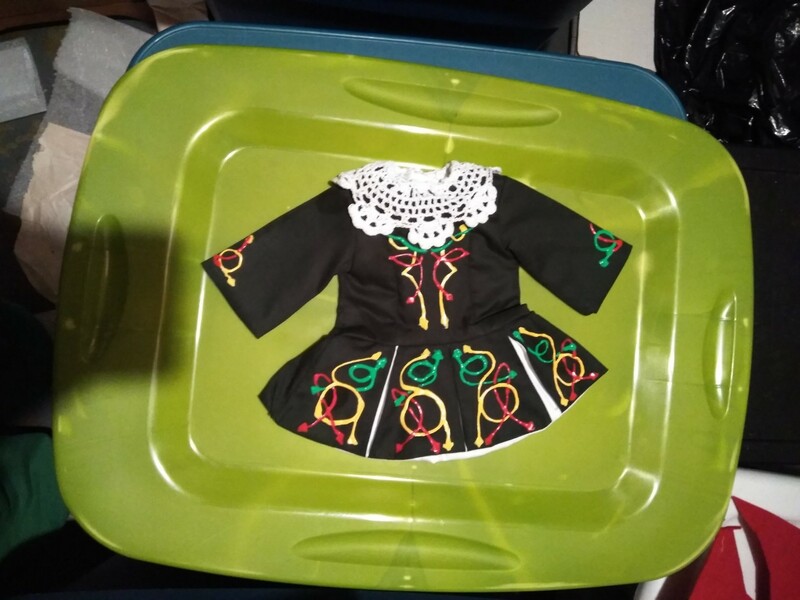 It is an authentic rendition of the big girl dresses I have seen and even my daughters Irish Dance teacher was impressed with the finished product. Thank you Eden Ava Couture for another wonderful design. I look forward to embellishing this dress with more durable gems. (I have put on temporary stick ons from my scape booking stash.) Any chance of a pattern for the Irish Dance soft shoe?